We will be closed Easter Sunday, April 20. We hope you have a wonderful day with family and friends. 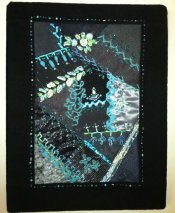 Quilt Rush, "Up in Charms", was a great success! Thank you to all who participated. We hope you had as much fun as we did. It was great seeing repeat and new "hoppers". The dates for next year are already set, so mark your calendars for "Connect the Dots", April 15-19, 2015. 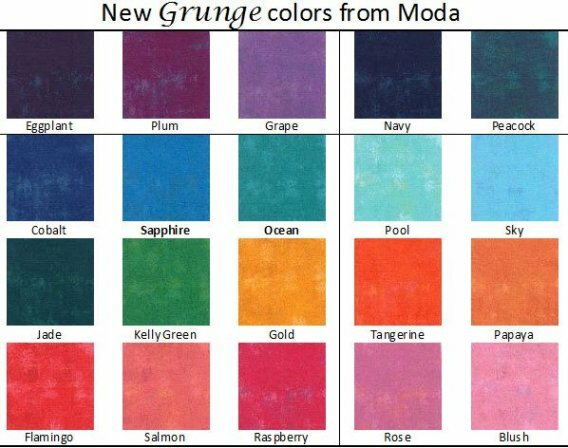 We have all of the new Grunge colors from Moda. These have the wonderful Grunge texture, but are in brighter colors, perfect for inspiring projects for Spring and Summer. We also have several colors of Moda's Mochi linen solids. From Marcus Brothers, we have a new quilt kit -- Building Blocks, featuring Faye Burgos' Sidewalk Cafe fabrics, in classic French Country motifs. From Timeless Treasures, we have their new blender Pearle in pastels and some new dog and cat prints. 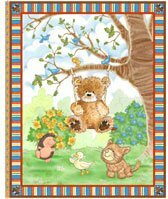 And we have a new Popcorn the Bear panel from Quilting Treasures, perfect for making children's chenille quilts. And last, but certainly not least, we have restocked our Dazzle and Valdani threads. There are no changes to the Tuesday sessions. Handwork Sit & Sew-Monday. There will be mo meetings of this group in April, May or June. The Saturday, June 21, classes have been moved to Saturday, June 28. The Tuesday, June 17 morning class has been moved to June 10. The Tuesday, June 17 afternoon class has been moved to June 24. Blankets for Preemies, Fri, Apr 18, 11:00 a.m. - 3:00 p.m.
BOM-Anniversary Waltz, Thu, May 1, 10:30 - 11:30 a.m. -OR- 5:30 - 6:30 p.m. 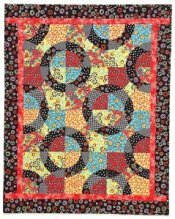 Sit & Sew Thursday, Thu, May 8, 1:00 - 5:00 p.m.
Circle Pizzazz, Judy Sisneros, Sat, May 31, 10:00 a.m. – Noon - 4:00 p.m., $60, supply list. 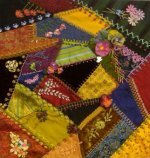 Judy's inspiration for this class began with the 'snake trail' block, which she has taught for years as "Winding Paths" - a great design. She wondered what would happen if she made the block and then re-cut it, made a little change, and then remade the block. It was wonderful! Plus, with the 'planned-overs' you have pieces to make a second quilt. 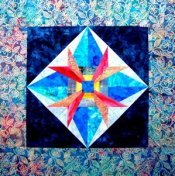 Come spend a fun, instructional day with Judy and make your own unique pizzazz quilt. Templates are available for purchase. Intermediate level. 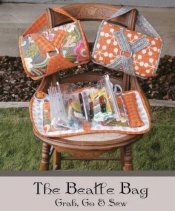 Beatle Bag, Sandi Fong, Fri, July 11 & 25, 10:00 a.m. - 4:00 p.m., $50, supply list. This can be a sewing bag for threads and notions, a travel bag for makeup and jewelry, a craft bag...there are so many possibilities. A fun and very useful project. Sandi brought her bags to the shop last week, and we all loved them so much we begged her to teach a class. Luckily, she agreed!